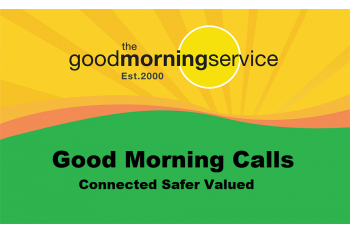 Free Good Morning Calls bringing friendship and a safety-net alert service so that older people are, and feel, connected, safer and valued. For those aged 55+years. 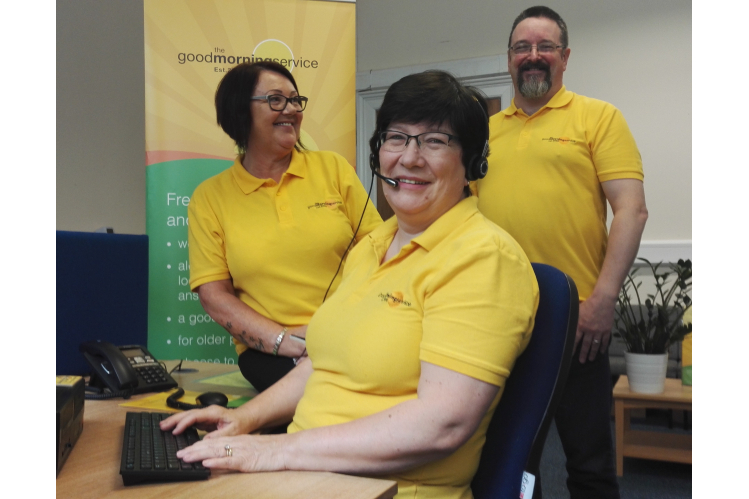 Connected: Every morning, we telephone out to members at a pre-arranged time to check that all is well and for a good blether. We grow relationships and over time hope to become a good friend on the phone: someone to share stories with, or simply just be there to listen and give emotional support in difficult times. Safer: If our Good Morning Call goes unanswered and we can’t locate someone, we will alert their nominated contact persons or the local police to a potential problem. We also work in partnership with Police Scotland and Trading Standards to help reduce the risk of our members becoming victims of scams. Social Outings: Each month we visit somewhere interesting eg, Glasgow Science Centre, Riverside Museum, Panopticon to enjoy a cuppa and good blether. Info Source: During our Good Morning Call and in our monthly newsletter we promote useful community and national services as well as key NHS messages and age-relevant information. We’re open 365 days a year. Connected + Safer + Valued = Confident to live as independently as possible.